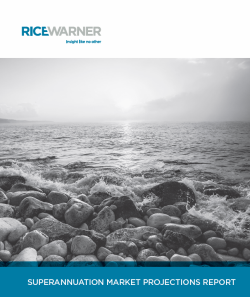 Rice Warner invests extensively in research and it is a core part of our business. Critically, our philosophy is not to simply collect market data, but to interpret that data and provide useful insight that will assist our clients to improve their business outcomes. 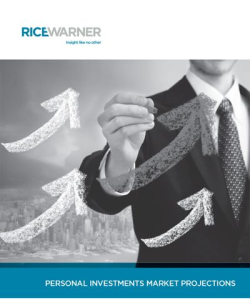 Spanning the superannuation, life insurance and investment segments of the financial services industry, Rice Warner’s research includes market analysis, market projections and likely future trends. Data is sourced through many different channels including publicly available information, client surveys and data gathered through consulting assignments. The reports have been updated over time to reflect changing technology with copies available for our clients on our Research Portal. Some of the reports are supported by projections which can be downloaded into excel. We also provide clients with executive briefings to discuss the implications of the report findings. For research report purchase queries, contact us today. Superannuation funds have become an important, and in many cases, primary source of financial advice for consumers. 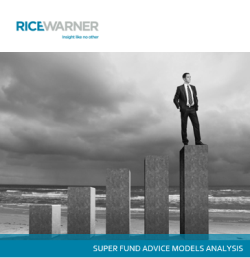 Rice Warner’s inaugural Financial Advice within Superannuation Funds 2019 report provides insight into the evolution of financial advice in Australia, and the status of financial advice in superannuation today. The report considers the factors influencing the future of financial advice and presents a framework for developing the next generation of advice models in superannuation in the context of the ever changing regulatory environment. Superannuation funds need to embark on a period of significant development of their retirement income offerings to remain relevant and retain members. To achieve this goal, funds will likely require the support of a range of third parties who understand their needs and the ways these needs can be supported. This is a vital area for superannuation market participants – the retirement phase already accounts for over $800 billion of superannuation assets, and the number of superannuation accounts held in the retirement phase is expected to increase by nearly 50% over the next decade. 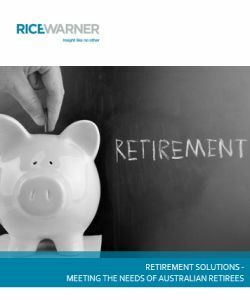 Rice Warner’s research report Retirement Solutions – Meeting the needs of Australian Retirees provides actionable insights targeted at both the funds and their partners, derived from detailed market knowledge and extensive practical experience. These insights outline key market dynamics, oncoming legislative requirements and building blocks currently and potentially available to develop a retirement-market strategy. This knowledge will equip funds and their providers with the tools they require to understand member needs and market opportunities, bring the various moving pieces together and access the opportunities in this fast-growing market. 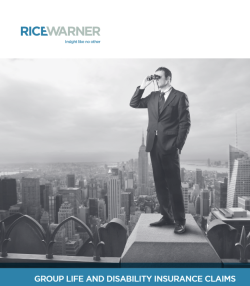 Every year, Rice Warner analyses the size and composition of the superannuation industry and projects forward assets and membership annually for the next 15 years. The analysis is based on the output of a sophisticated market and population model that reflects the market structure, population dynamics and employment trends. The report encapsulates our view of the financial impact based on current trends. The results provide a snapshot of the future superannuation landscape based on these trends, and carefully considered assumptions which we set out in detail. Assets held on behalf of the pre-retirement population and the post-retirement population. Assets held by the various market segments. The impact of contributions, investment returns, insurance and tax. The differences in the experiences of men and women. MySuper and Choice – impact on fees. Superannuation market influences (including RG97). Detailed fee analysis and comparisons between all super fund segments. Our Super Insights study involves gathering data from participating funds providing us with over 10 million anonymous accumulation and pension accounts, from which we undertook segmentation of the results across, gender, age bands, location, account balance and many other categories. Analysis of membership profile by different segments and comparison with the peer group, and identification of key strengths, weaknesses and opportunities arising from the membership profile. Quantifying and comparing differences between members across gender, ages and geographic area. Understanding inflows of funds from contributions and roll-ins, how these compare with the peer group, and key opportunities arising from these comparisons. Investment strategy – participation in default strategies versus choice investments, and how choice members differ from default members. Insurance analysis – take up of cover and average levels of cover along with analysis of insurance needs. Employer analysis – including average number of employers, average employer size, distribution of employers. Pensions – demographic and behavioural analysis of pension members including investment decisions, drawdown rates and balance analysis. Exits analysis – identification of key areas of leakage in absolute terms and relative to the peer group, to help inform your strategies to retain members taking into account the dynamics of different segments of your membership. The Tailored Market Projections report and the model that supports it also allows us to provide detailed projections for individual funds. These projections provide a sound base for strategic and business planning as they show the potential performance of the individual fund in the context of the whole market. Expectations can be set realistically rather than simply relying on assumptions based on recent experiences. The results can be determined for a number of different scenarios and are provided as an online interactive report for more detailed analysis and inclusion in presentations. 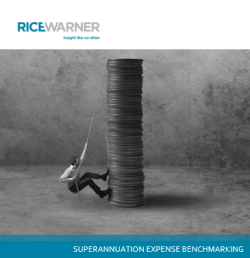 Rice Warner commenced its annual Superannuation Expense Benchmarking survey seven years ago with the support of ASFA and others in the industry. Since then, we have successfully completed surveys and industry-wide reports for the 2011, 2012, 2013, 2014, 2015, 2016, 2017 and 2018 financial years. 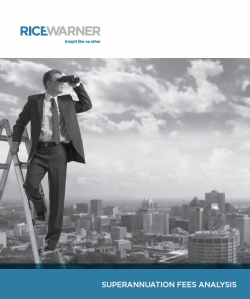 Rice Warner has made a long-term commitment to this research to ensure that superannuation fund trustees, members and regulators have access to a consistent and objective measure of changes that impact on fees and costs. Expenses are benchmarked against the industry and the peer group of funds. Demonstration of the impact of scale and the relative position of your fund. Explanation of expense drivers and assistance with interpreting results. Analysis of specific areas of interest to Trustees. Details of longitudinal trends in expenses since 2013. 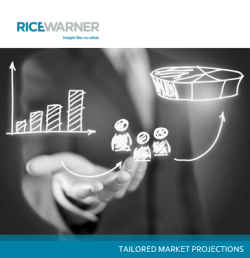 The Personal Investment Market Projections report complements the Superannuation Market Projections report. It provides a projection of the personal investments market outside superannuation. In its broadest sense, the market includes all investment assets held by individuals, either directly or through financial products, trusts or company arrangements, other than assets held in superannuation funds. The report provides insight into the forces shaping the personal investment market and their potential impact on the size and structure of that market. The two reports together provide a unique aggregate view of the Australian savings pool. 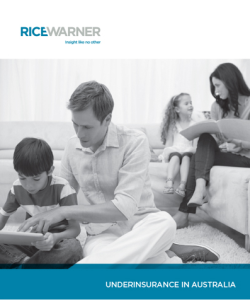 The Life Insurance Needs in Australia Report investigates the insurance needs for the working population in Australia. We consider the total insurance needs for death, TPD and income protection insurance for a range of family types considering age, family structure and income levels. 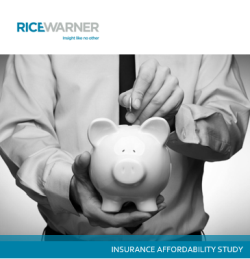 The analysis builds on previous research carried out for the Underinsurance in Australia Reports and investigates needs on both an income replacement and basic level and includes discussions on trends. An executive briefing to walk through the results forms part of this research. 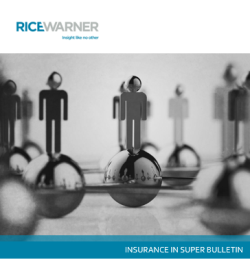 The Insurance in Super Bulletin provides review, analysis and commentary of topical issues in the group insurance market. The subject matter covered in the bulletin is adjusted each quarter to reflect the current market and will be of interest to a range of insurance experts including product and pricing teams. evolving product design and pricing changes in group insurance. Estimate the overall level of underinsurance for each type of cover, based on levels of cover currently held. We consider the insurance needs for each family type, across factors such as age, family make-up and income levels. The impact of social security benefits on insurance needs. The impact of levels of insurance held across the market. The impact of factors such as tax, the value of domestic production and AWOTE on insurance needs. The Insurance Affordability Study considers the affordability of default insurance cover within superannuation funds at an industry level. The study highlights areas of concern for Trustees to consider to minimise the risk of premiums inappropriately eroding the retirement income of beneficiaries. Member groups where insurance premium deductions negatively affect retirement balances. Market trends as it relates to premium rates. Death, TPD and IP price changes during the 2015 calendar year. Affordability projections across four member scenarios. Note: Tailored affordability research for an individual fund can be undertaken as a consulting assignment. 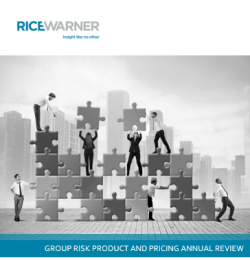 Based on data housed in Rice Warner’s insurance databases the Group Risk Product and Pricing Review provides an outline of all pricing and product changes for group insurance products in a 12 month period. 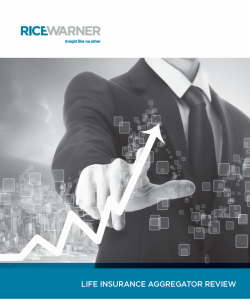 The report highlights trends and significant changes in the group insurance market. 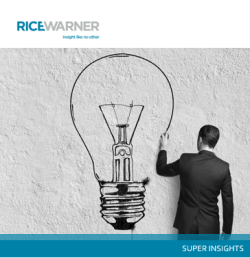 Rice Warner carried out a Group Claims Experience Study in 2015 which covers many aspects of group life and IP claims. The study covers claims incidence rates, claim development patterns, IP termination rates and claim cause analysis. The group insurance data used for this study relates to approximately five million insured lives per year and 140,000 claims. Despite the age of the study, we believe that the results are still relevant today and the cost has been discounted from its original price. Two versions of the study were produced, with one report for funds and a separate report for insurers. The insurer report is more detailed than the fund report and contains actuarial decrement tables. These tables are designed to be used in pricing and reserving calculations. The reports cover similar material, but the insurer report has more detail and additional content relating to the underlying actuarial methodology. 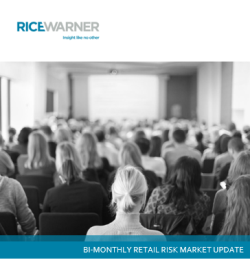 The Bi-monthly Retail Risk Market Update provides review and analysis of product, pricing and public policy changes in the retail insurance market over a two-month period. This report is directed at product, pricing and sales teams. 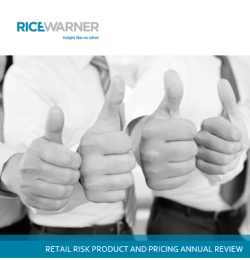 The report provides analysis of product and pricing changes and the impact to quartile ranks for all on-sale retail insurance products. Pricing scenarios are provided for ages 20 to 70. In depth analysis and commentary is provided for significant product releases. 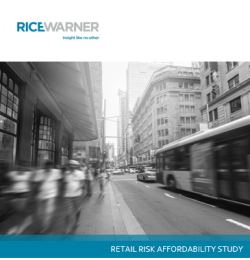 The Retail Risk Affordability Study explores the connection between lapses and affordability for policyholders. The study highlights how and when insurance sold via an adviser, on a stepped premium basis, may become unaffordable. It further considers how alternative Retail product designs that feature inbuilt lifestyle patterns and changing customer’s needs, may be one potential solution. 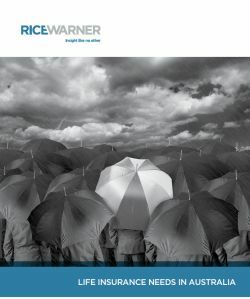 Based on data housed in Rice Warner’s insurance databases the Retail Risk Product and Pricing Annual Review provides a detailed analysis of all pricing and product changes for each on-sale retail insurance product and tracks all changes over a 12-month period, highlighting the impact to overall quartile rank. Premium quotations for Term, TPD and Income Protection across a range of occupations. Premium quotations for multiple products at one time. Absolute premium and relative graphs of the premiums are automatically generated by selecting the desired products (Note: figures can be exported to excel and graphed as desired). Key terms and conditions for Term, TPD and IP across the market. Features can be viewed by individual fund or compared across a range of funds. Monthly update of key pricing and features updates across the market. Coverage of 15 different product offerings. ordinary and super owned analysis available. All ages, allowing the user to sort premiums at each age. Functionality to include the common options in the market, such as Level premium, Guaranteed Future Insurability, Increasing Claims Benefit and much more. Premium quotes are coloured to represent their respective competitive position for ease of use. Absolute premium and relative graphs of the premiums are automatically generated by selecting the desired products (or figures can be exported to Excel and graphed as desired). Dichotomous assessments are made of all the products researched; assessments identify key areas of value and differentiation in the market. Text from each PDS is supplied to support and supplement the assessment, this can be viewed by feature, by product or the user can select multiple products and features to view at once (can be downloaded to excel for further analysis if required). options available (premium frequency, premium basis, GFI etc.). The results include all the products in the Retail Risk Comparator associated to the scenario. Note: Access to this tool requires a subscription to the Retail Risk Comparator. Our life insurance databases are also used to supply data and calculation processes to dealer groups. They have been supplied to a number of wholesale software providers working with dealer groups as well as to a few very large groups direct. We also supply superannuation fund research to dealer groups. This is used to compare funds on Approved Product Lists as well as providing accurate information on funds for clients who have their super in several places. Rice Warner undertakes a number of bespoke research assignments each year. We are able to leverage our large proprietary databases, projections models and conduct our own surveys of superannuation funds, insurers and members across the industry to deliver to clients specific needs. We can leverage other research projects and assignments to provide our client with insight not available anywhere else. Surveys and analysis of SMSF member behaviour. Research on distribution of superannuation, life insurance and personal wealth by advice channels. Modelling of regulatory/tax changes for use in public policy submission and strategic insight.